Can I Sue a Bar That Overserved Somebody Who Hit My Car? Home » Blog » Can I Sue a Bar That Overserved the Person Who Hit My Car? Now that the holidays are in full swing, many people are traveling to holiday parties and events to celebrate the season. Drinking and partying also occur more often during the holiday season, specifically at bars and restaurants. 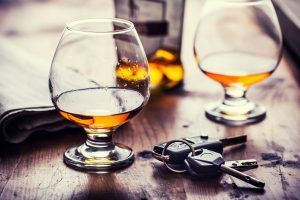 Texas has a set of laws called dram shop laws that govern what should happen if a person who gets intoxicated at a bar gets into a car accident. Do Pennsylvania Dram Shop Laws Allow Me to File a Lawsuit? A dram shop is a drinking establishment where alcohol is served and consumed. Dram shop laws hold bars or restaurants liable for injuries that resulted from overserving alcohol. The Pennsylvania Liquor Code governs this law, and it states that an alcohol vendor can be held liable for these injuries. Violating the liquor code is considered “negligence per se” in Pennsylvania, which means the claimant doesn’t need to prove anything else regarding the alcohol vendor’s liability. Almost all of these liquor code violations will support a civil claim for dram shop liability. These claims must be filed within two years of the date of the injury. If you are interested in filing a dram shop or social host liability claim against another driver from a car accident, contact O’Donnell Law Offices today. Our personal injury attorneys can give you more information on these laws and how you can potentially recover compensation. Watch this testimonial about one of our clients filing a claim both against a drunk driver who hit her on the wrong side of the highway and against the restaurant who had served the drunk driver alcohol.